This Moisturizer absorbs quickly into the skin giving long lasting moisturization for a healthy fresh looking complexion. With the added natural ingredients of Organic Ginko and Organic Bamboo helps to boost skins elasticity, firmness and helps to improve wrinkles, skin sagging and age spots on the skin. 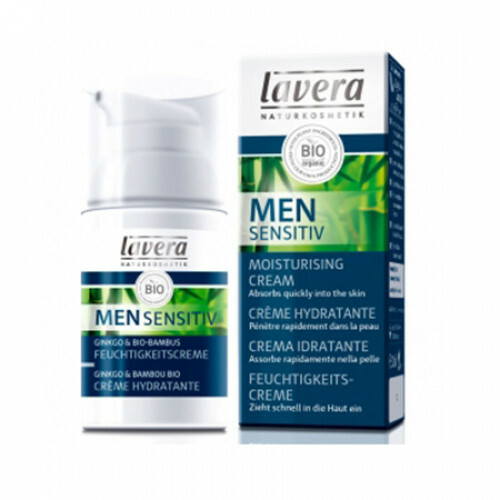 Lavera Men Sensitive Moisturizing Cream can be used on the skin morning and night. How To Use: Use: Apply on face and neck after cleansing and massage in gently. Better than anything I've bought off the drugstore shelf. Small bottle but it goes a long way. Doesn't irritate freshly shaved skin.